Will Symmes is a partner with Tindell, Symmes, Estes, & Cusick, PLLC. Over his 17 years of practice, he has handled antitrust litigation, general civil litigation, insurance defense litigation, and products liability litigation, including defense of claims involving asbestos, silica, benzene, and pharmaceuticals. 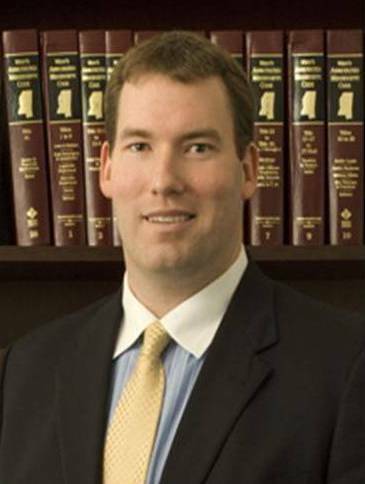 Will also is experienced in handling matters involving practice areas such as corporate law, representation of governmental entities such as the State of Mississippi and Harrison County, Mississippi, and various Chancery Court matters, including divorces, support and custody matters, estates and land disputes. Will was born on December 1, 1973 in Hattiesburg, Mississippi. He received his Bachelor of Science Degree in 1996 from the University of Southern Mississippi, where he was an honored recipient of the Dr. C.A. Walker, Jr. Scholarship for his academic endeavors and was a four year letterman as a center on the Golden Eagle football team. Will later attended Mississippi College School of Law, and he earned his law degree in 2000. Will founded Tindell, Symmes, Estes, & Cusick, PLLC in July 2016. He has been a member of Westminster Presbyterian Church of Gulfport for over 30 years and has served as Elder for the 2009 - 2011 Session and currently serves as Elder for 2015-2017 Session. Will has been a member of the Gulfport Chapter of Kiwanis International since 2014 and currently serves as Vice President. Will is married to Kathryn Symmes (Farned), and has two daughters, Hannah and Mallory. Will has an AV rating from Martindale-Hubbell and has been selected as a Mid-South Rising Star by Super Lawyers on several occasions beginning in 2010.